14 runners declared for Group two Duke Cambridge Stakes for .This look cracking mile contest for fillies & mares . The three standout performers are Sky Lantern ,Integral & Esoterique. INTEGRAL :Typical Sir Michael Stoute progressive filly ,won twice last season both at Sandown in Listed race and then dead heated in group three Dahlia Stakes .However ran her best race when finishing 1 lenth second behind Sky Lantern in group one Sun Chariot .Finished close second in Dahlia stakes on her seasonal reappearence behind Esoterique .As with most Sir Michael Stoute horses should improve greatly for her first the run of the season. ESOTERIQUE : Useful French filly winning 3 from 7 ,also finished close Second in French 1000 guineas last season .Won group three Dahlia stakes at Newmarket over 9 furlongs just pipping Integral by head ,though had fitness edge that day .Should be thereabouts. VERDICT : Sky Lantern is class act here having won four group one races ,though faces no easy task conciding 5LB on her first start of the season ,has to be repected though may just need this race . 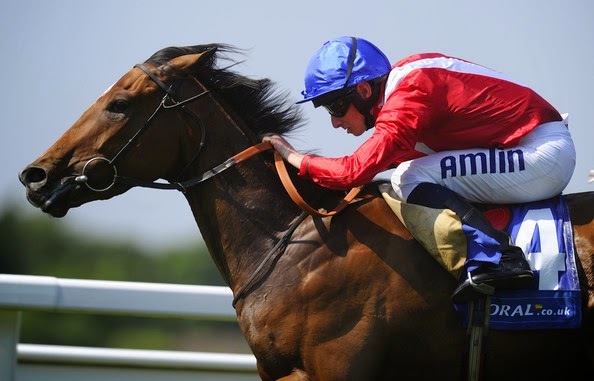 INTEGRAL on 5LB better terms and fitness edge can reverse form with Sky Lantern and can land the Duke Of Cambridge Stakes .She showed progressive form last season and looks open to plenty improvement this season .Trainer Sir Michael Stoute also has good record in the race winning three times in last 10 years.Odds around 3-1 look fair value .